for you by our professional team! Where we pride ourselves on our friendly service, quality craftsmanship & affordable pricing. This is a mother & son run business and we really do take great pride in the care & way in which we treat everyone.We offer a FREE Consultation in a relaxed environment so that you always make a fully informed decision when you choose us. Designer Dentures offers a variety of payment options, whether it be for your Auckland Dentures, or anything else. Plus if you receive a WINZ benefit or have Insurance it may not cost you anything up front. Call us today so that you can see the best Mouth guard manufacturer in New Zealand and one of the top Denture services today. We even offer a home visit service for those that are unable to travel out to us. 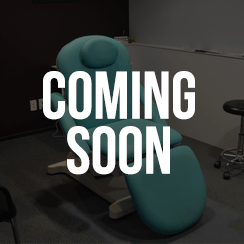 An Emergency Dental Surgeon is coming soon to Designer Dentures. We currently offer quick or same day turn around on Denture repairs and Relines. If there is a new Denture needed urgently we can do that also. We have had people come in for a single front tooth before a wedding, important speech, graduation or other important occasion and have always delivered the desired results in time. If you’re looking for urgent help – contact us to for a fast turnaround and the ideal solution for your specific needs. Just ask. We value our customers, listen to your needs, and offer personalised service. Full Dentures made at Designer Dentures are NZ Quality Assured and all hand crafted in house by Khush, our Skillful Clinical Dental Technician. You are entitled to a FREE Consultation with him so that you can discuss all of the treatment elements including the design, materials choice, grade of teeth required, treatment procedure, expectations, and what kind of results are achievable. Nice looking smile that can be customized to look almost however you want. Clearer and easier speech once the tongue adapts to the shape. Easy insertion and removal for cleaning daily. Guaranteed workmanship by an NZDA registered Clinical Dental Technician that will last. Restores balance and force distribution to the Temporo-Mandibular-Joint (Jaw) easing headaches, improves hearing and jaw pain. Allows for proper chewing and breaking up of food to aid in proper digestion without gastric reflux. Thermosens has a shrinkage of less than 1% when cured so this means a very accurate fit. Thermosens doesn’t discolor and stain like conventional acrylic. Thermosens doesn’t absorb saliva so it stays clean and smell fresher. Thermosens is virtually unbreakable so you avoid the inconvenience and embarrassment of a breakage. Thermosens is hypoallergenic and completely Methyl-Methacrylate free unlike conventional Acrylic. Thermosens finishes to a high quality, smooth surface so it looks fantastic. So this means that you get a stronger, better fitting, better looking and healthier Denture. Teeth whitening to get a nicer and brighter smile that catches people’s attention. Teeth whitening can give a much more youthful appearance to your smile. Get the smile you desire at an affordable price in a safe and professional environment. Or take home tooth whitening kits can really give you a nice looking smile quick and easily without doing serious damage to your teeth. Contact us today for your FREE Consultation to discuss your treatment options. We can even put gold into teeth if you are looking for that little something extra in your smile. Apiece of Gold can really give you an eye catching look and can be set in almost any arrangement that you would like. If you’re looking for help – contact us to for a fast turnaround and the ideal solution for your specific needs. Talk to us today. Denture Relines and Repairs can be a necessity to extend the service life of an old or existing Denture and can be easily assessed in a FREE Consultation at Designer Dentures. We do all of these procedures quite regularly in house and to minimize your inconvenience we can often complete it in the same day. A Denture can be repaired to fix cracks or splits in the acrylic or even through teeth all by Khush using the same type of acrylic resin that your original Denture is made from. Splits in metal can also be soldered by Khush and there are options to have strengthener materials put inside of the acrylic to help maintain it’s structure. You should know that a broken Denture can be dangerous in causing injury to the mouth and pieces of it can become lodged in the digestive tract or airways so it is important that as soon as you notice a broken Denture you do not try fix it yourself and come in to see us. A Denture Reline is done to give a fresh fitting surface to an otherwise loose fitting Denture. The mouth and gums can change in shape over time and even quicker when there has been recent dental surgery to the affected area. What Khush can do is restore the fitting surface of your Denture by curing a new acrylic surface to your Denture. 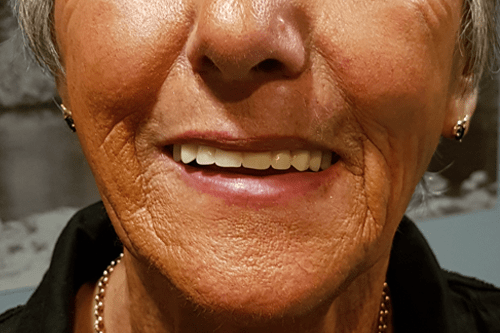 A Reline not only Restores the fit of your Denture but can also restore the vertical height of your Denture that may have worn away over time so that you are able to show more teeth once again. It is recommended that you have a Denture Reline every three to five years so that you also prevent further bone loss from the supporting jaw and roof of mouth. Partial Dentures are a great way to replace some missing teeth without any need for further surgery. 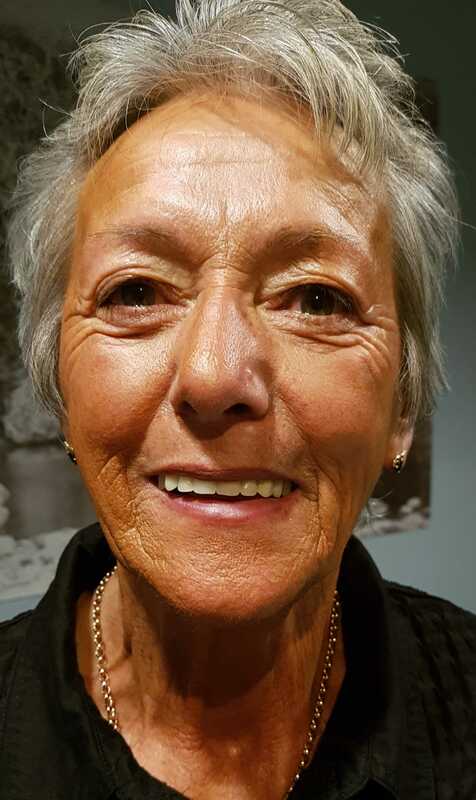 Partial Dentures vary in the material choice and Design so at Designer Dentures we do a FREE Consultation at Designer Dentures so that you can get everything checked out in a friendly environment and make a fully informed decision. Look very natural and blend in with the surrounding gum and teeth. Helps maintain the positioning and health of the other remaining teeth. Allows for easier and more comfortable eating. Can improve clarity of speech. No need for additional & expensive surgical procedures. Comes with guaranteed workmanship with safe CE certified high grade materials. NZ Quality assured work that supports the local economy. 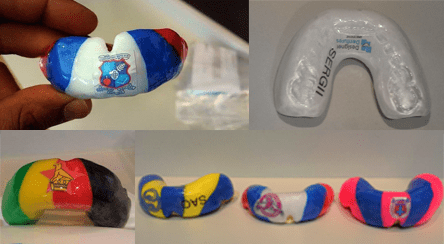 We also highly reccomend you ask about our Thermosens Material here at Designer Dentures. It is the latest in material technology with only 12 places in New Zealand offering this option. Thermosens is also manufactured in house by Khush and the key benefits are it has a shrinkage of less than 1% when cured, it doesn’t discolor, doesn’t absorb saliva so it stays clean and is virtually unbreakable as well as being hypoallergenic. This means you get a healthier & cleaner denture that is stronger as well as tight fitting while small and thin. If you opt for a Metal Denture it always comes with a record of the metal in the Cobalt Chrome Alloy. It is a precision cast metal and the metal comes with a 3 year warranty on the workmanship. The advantages are much like the Thermosens it offers a tight fit, occlusal rests to prevent the Denture pushing into the gum, it is small and thin plus Metal Dentures allow temperature sensation while leaving more of the gum uncovered. Conventional Acrylic Dentures are cost effective, easy to add teeth to, but are more prone to fracture. They can often be used as a temporary measure when there is more teeth to be taken out or as an interim tooth replacement when getting other treatment done. To find out more contact us today for your FREE Consultation to find out your best option. Dental Implants can be used to replace a missing tooth with a crown or to firmly retain a Denture. The procedure involves surgery and the Implants require the same maintenance that a natural tooth would with a regular scale and clean. This procedure does provide the closest option to a feeling of having a natural tooth back in place however it does involve surgery and not everyone is suited to this procedure. That is why we offer a Free Consultation at Designer Dentures to give you information on the treatment and book you for an x-ray to assess the health of your gums and bone density. Implant Dentures are removable with a good amount of pressure to release them from the gum and are suitable where the natural supporting gum is undesirable for supporting and retaining a Denture. The Denture will seat firmly with a click when in place correctly. 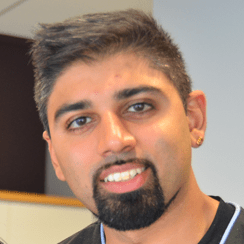 Khush completed his Implant Retained Dentures Course in 2012 from the Sydney Institute of Technology. Our craftsmanship is second to none and the Denture will come with a Warranty as well as being made of the virtually unbreakable and allergy free Thermosens material. Implant Crowns are suitable where there is only one or a few adjacent missing teeth next to each other. It is a very good way to replace the tooth as it has a natural feel to it as the implant core is drilled into the bone for pressure sensation. The Crown is made of multi layered high strength and translucency porcelain. Natural effects and details in the Crown are a specialty of ours and an aesthetic consultation with Khush is a must in order to get the best possible result that looks natural as well as blends in with the surrounding teeth. Dentists make a nice smile at Designer Dentures for a beautiful and youthful look. However to maintain the health of your teeth it is a very good idea to get a check up to ensure that you maintain the health and well being of your teeth. Regular flossing and brushing will only get you so far but there may be more problems or cracks in a tooth that you are well unaware of and we can have it diagnosed in a Check up with our very own Dentist. 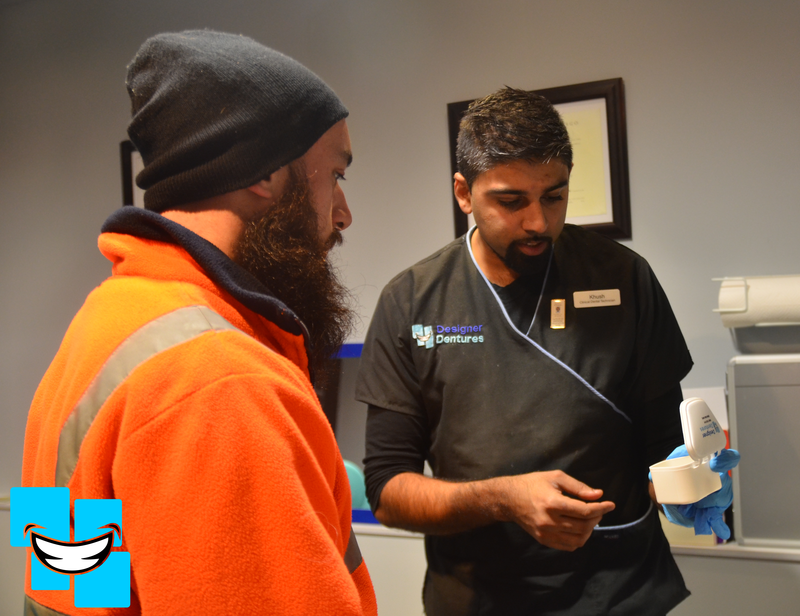 Book in now so that you can get your teeth thoroughly checked out at an affordable price. Khush is the chief Clinical Dental Technician at Designer Dentures. Virtually anything made here is hand crafted by him. He is even happy to talk to you and explain the process and design concepts behind what he is doing in a FREE Consultation. 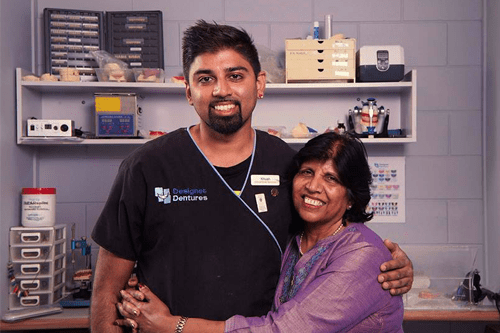 Khush completed a Bachelor of Dental Technology at the University of Otago in 2009 and an Advanced Diploma in Dental Prosthetics from RMIT (Royal Melbourne Dental Hospital) in 2012. Khush has over 8 years of experience and a keen eye for detail and fine craftsmanship. His interests include a variety of Basketball, Fishing and a number of other sports. With his wealth of information, technical skills in any range of different materials and easy to relate to manner he is a real pleasure to be around. This is our always friendly and smiley Practice Manager at Designer Dentures. Navtej loves meeting and talking to new people and is full of helpful advice. She is also a fully certified Justice of the Peace if you need documents cited. Navtej enjoys walks in nature, new adventures and is highly spiritual. 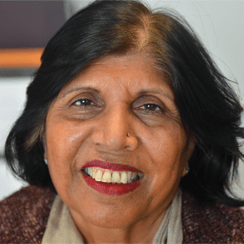 She will always greet you with open arms and a warm smile at Designer Dentures and loves to have a cup of tea and a chat with you. Just want to say a massive thank you to the king pin mouth Gaurd. I’m really pleased with how my mouth gaurd looks and how it feels. It will difinately improve my performance with the sport that I love doing. Thank you. Very much appreciateed. I found Khushwant Singh of Designer Dentures friendly, helpful, and the total professional who made me feel comfortable and welcome from my very first appointment. I am 100% satisfied with my new dentures and recommend him without hesitation to anyone requiring his services. Thank you. What do you like about us? – Very friendly and professional service. What could we do better? – Nothing. 10/10 very likely to recommend us to family/friends. 10/10 very likely use us again. I found that it was very easy to relax and the delivery of the information was done in a way that I was able to understand all that was happening. All staff were very friendly, would definitely recommend my friends and family here. What do you like about us? – Very welcoming and friendly. Like a family. From my first visit Khush was very friendly – you never felt pressured in anyway at all. I would recommend the clinic to anyone. What did you like about us? – Prompt friendly service. Professional and friendly service. Would recommend to anyone. What did you like about us? – Very friendly and easy to get on with. 09/10 very likely to recommend us to family/friends. 09/10 very likely use us again. What do you like about us? – Friendly Professional. Great. What could we do better? – Keep it going the same. Great people, great service, great result, big smile. What do you like about us? – Service and that friendly smile. What could we do better? – All ok. Excellent service. Great people to deal with. Recommend them to anyone. What do you like about us? – Very friendly, down to earth, made me feel that my needs were valued & listened to. They made me feel relaxed and at ease with what we agreed on to achieve the best outcome. Love how humble they are. Recommend them to family and friends. What do you like about us? – Friendly and explains everything in detail. What could we do better? – Keep doing as you are. What do you like about us? – Friendly service and keeping up with all the procedures. Friendly, prompt and services recommended to others. What do you like about us? – Friendly, honest people to deal with. Khush Explains everything very clearly. Khush is a true craftsman. Takes tremendous pride in his work, which is often lacking in this instant world we live in. Would recommend him to everyone. What do you like about us? – Everything. Your service, your approach and my teeth are beautiful. What could we do better? – You are doing 100% now. Don’t change. Warm, helpful and you make me feel relaxed. What do you like about us? – Friendly comfortable atmosphere and excellent work done. What could we do better? – Nothing , you guys are cool. Excellent service, I felt comfortable and very happy over my teeth. What do you like about us? – Friendly service. What could we do better? – Happy with the service. No need to change anything. Coming down from the north it was so friendly, family & mother was good making it easy for the first time. What could we do better? – Was ok. I felt comfortable and easy going. What do you like about us? – Fantastic, friendly, caring service. Here to help patients with their confidence. What can we do better? – Nothing. Khush was experienced and really knew how to meet my needs. the service recieved was amazing & super fast at getting jobs done. What do you like about us? – Fantastic Service, Great communicators. Advice, service and honesty. What do you like about us? – Family business -mother and son. More personal. What could we do better? Nothing that I can add. Great service from start to finish. Very Friendly. Very informative throughout and explained the process. A big plus. I got my partial within a week for a special occasion. What do you like about us? – Very friendly and approachable. Awesome customer service. What could we do better? – You guys are awesome as it is. Great service, very highly recommended. What do you like about us? – Very friendly service. Best price around. Awesome service, family business which is great. What do you like about us? – Best people to be and work with, made the whole experience enjoyable. What do you like about us? – Relaxed and laid back feel of the place. What could we do better? – Keep doing what you’re doing. It’s great. Having a general dentist onsite would be great as it would be a one stop shop. Great team and awesome environment, would recommend to anyone. What do you like about us? – Very good service. What could we do better? – Nothing It’s always better. Very good service. Smiling faces. The staff care. And the cost is very good. What do you like about us? – Makes me feel welcome. Very Friendly. Fitted to my liking. Gentle and efficient. What could we do better? Continue the way you are. Promote more. Let the community know about you. I am absolutely happy that I chose your service. The best I’ve been to. Very clean/tidy. What do you like about us? – Very friendly. What could we do better? – Maybe a shorter time, if possible, to do teeth. Time given & guaranteed for teeth satisfaction, I can come back with any problems experienced. Very helpful. What do you like about us? – Friendly/easy to talk to. What could we do better? – Nothing at the moment. What could we do better? – Think it’s awesome. Very good. What do you like about us? – Friendly services. Warm, welcoming environment and excellent communication between dentist and patient. 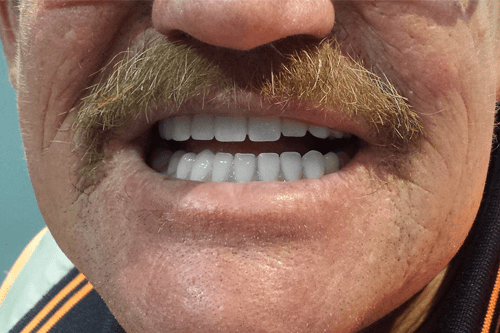 An excellent job creating dentures to suit me, making sure it fit well and was comfortable. The environment is warm, very inviting and family oriented. What do you like about us? – Everything from the professional service provided to the friendliness of the staff. What could we do better? – Open another clinic. True professionals. Provided the highest service. The best workmanship of the highest quality. Have saved my teeth and self confidence. What do you like about us? – The warm & friendly oriented atmosphere. Your friendliness and professional manner. Getting my teeth perfect. What could we do better? – Nothing. I give your service & business 11/10. I am absolutely happy and confident with the service I got from Designer Dentures. The whole process was great from start to finish & at the end I got denture I feel happy and confident wearing. I highly recommend to anyone to get new dentures done at Designer Dentures. What do you like about us? – Service very good. From my first visit Khush was very friendly and welcoming. You never felt pressured in any way at all. I would recommend the clinic to anyone. Thanks again Khush, job well done! Very friendly and helpful staff. Service was excellent and the environment is customer friendly. Dentist is very professional. Will recommend to friends to come to the Dentist any time. What do you like about us? Atmosphere. What could we do better? Nothing, maybe little cheaper. Really fast and accurate, LOVE IT. From the beginning until the final touch you have treated me with respect and care that my feelings and feed backs are vital to ensure that the final set is perfect. You are a great professional who listens to clients and provide absolute amazing work Khush. Faafetai. I feel so confident and I was reminded of what you had said when I first came to you, “I know what to do.” Yes you knew exactly what to do, together with the help of your beautiful mum – how to make people feel at ease, comfortable, respected and feel like they have just won the biggest lottery ever. Again THANK YOU. I have new dentures fitted, I am very happy with the look and feel. I now can smile, and go about every day life with new teeth. Cheers Bruce. What do you like about us? Everything. What could we do better? Nothing, it’s been an amazing experience. 10/10 very likely to recommend us to family/ friends. 10/10 very likely to use us again. What do you like about us? Friendly, Comfortable Atmosphere, and Excellent Work Done Regarding Teeth. Appreciate it very much. 9/10 likely to recommend us to family/ friends. What do you like about us? Very Friendly, explained things. What could we do better? Nothing. 10/10 very likely to recommend us to family and friends. What do you like about us? Very friendly, Well Explained, Excellent Service. What could we do better? Everything is Perfect. 10/10 very likely to recommend us to family /friends. Good Personalized Service. Khush explains aspects of having denture and how he will go about it. Makes sure denture fits well and adjust accordingly. I think you are already better with regards to service and looking after customers than anywhere else. 10/10 very likely to recommend us to family/friends. 10/10 very likely to use us again. Your service and treatment is the best, making sure Dentures fit well and with no discomfort. What do you like about us? Fast, Friendly Service. Explains Processes Extremely Well. Thank you, you helped my problem with speed and friendliness. Can’t recommend your services enough. What do you like about us? Friendly service, cost effective, easy to organize and get done. What could we do better? Can’t think of anything. Fast, and Awesome Service. Always had a good reputation within the boxing community. What do you like about us? The Friendliness. What could we do better? Nothing I know of. 10/10 very like to use us again. Very good. friendly and at ease with people. I like the tailoring to my needs without any hassle; caring and very pleasant. 10/10 very likely to recommend us to family/friends/ 10/10 very likely to use Designer Dentures again. Right from start to finish I was satisfied with the conduct and proficiency from Khush. Even more so the end product made me feel a million. 55 East Tamaki Road, Papatoetoe, Auckland 2025.